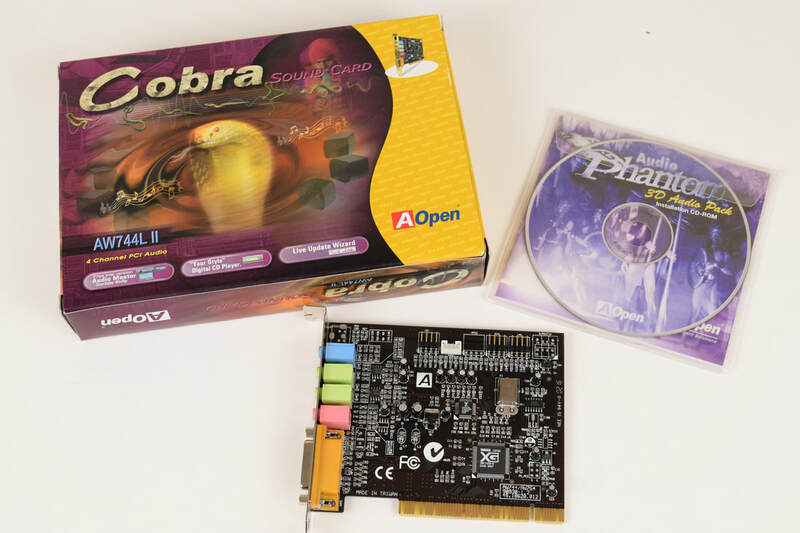 The Sound Card shown in the images below is the AOpen AW744 II, a typical PCI Sound Card with the YAMAHA YMF744 chip. Under Windows 98 the YAMAHA YMF744 has compatibility with 3D APIs such as EAX and A3D, however it must be said that a Sound Blaster Live! will do EAX better, and an Aural Vortex 2 will do A3D better. 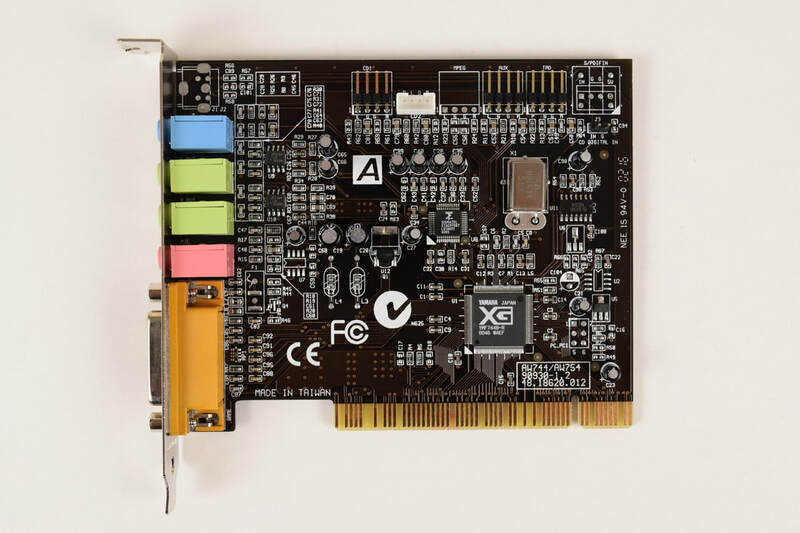 The real strength of the YMF744 is the DOS compatibility (for a PCI Sound Card), and the authentic FM sound, thanks to a proper YAMAHA OPL3 implementation. DOS games work from within Windows, and there is also a very decent General MIDI compatible wavetable support. But more impressive is the compatibility in pure MS-DOS. Like with all PCI Sound Cards, compatibility does depend a lot on the motherboard chipset, especially the south bridge, but there are modified drivers for various chipsets that you can try. Under pure DOS, there is no wavetable, however an external MIDI device can be connected to the gameport. Many variants also have the SB-Link connected, and if not, it can be added through soldering a few pins and adding a few resistors. Software allows you to manage wavetable banks in various ways: enable/disable, improve quality with extended 4.61MB bank (included), unleash hidden features of the DS-XG control panel and the software driver. With PowerYMF, it is possible to turn on high quality 44.1 kHz samplerate converter mode. MIDI banks editor is included. Power YMF version 2.0.1 is available for download. With this version, you can create custom sound banks. ​With PowerYMF High quality 4.61 MB wavetable bank is included, and it easily replaces standard 2.3 MB 8-bit bank. Optionally, we provide Dance Bank with modern samples to compose dance, techno, jungle and trance music using XG technology without external wavetable samplers. The new 2.0 version has Bank Editor, so it is possible to create custom banks. ​Extended Bank for Power YMF.